Pennsylvania’s public schools educate nearly 2 million students, and 4,100 of them are in Kennett Consolidated School District. Each of those students has an individual story and is taking a different path into adulthood. The roads to success are as varied as the students, but our children are not traveling this path alone. Parents, teachers, administrators, school-bus drivers, and cafeteria aides all play a vital role in the success of students. In January, we pause to salute another group of individuals who spend countless hours each month voluntarily leading our schools and making difficult decisions. 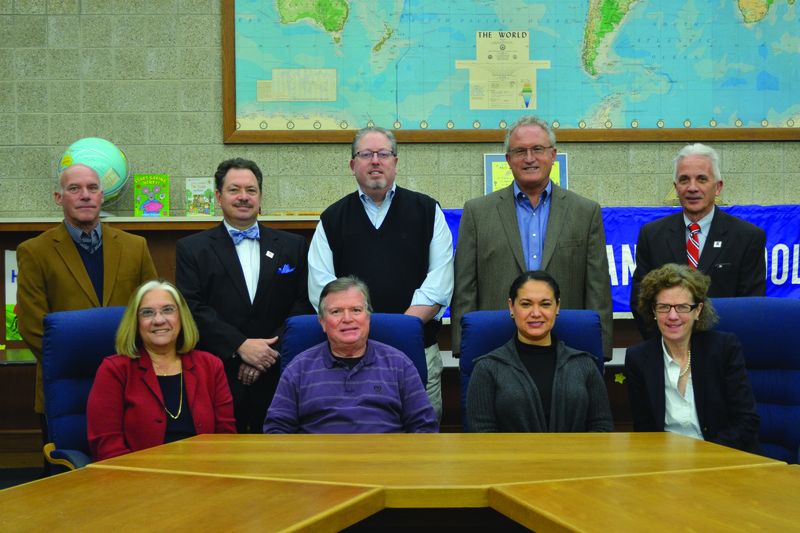 They are the School Board Directors, who lay the foundation for a strong education system in our area. These elected officials spend countless hours assessing budgets, approving curriculum and textbook choices, reviewing hiring decisions, adopting policy, and evaluating the academic and operational results of the District. These dedicated volunteers live in our community. They are our neighbors, friends, and community leaders, and they are working for the benefit of our children. As we continue to celebrate the success stories in our schools, let’s not forget our elected School Board Directors, who play a significant role in creating the environment where those successes can happen. During this month of recognition, we ask you to show your appreciation for their time, effort, and dedication to the advancement of public education. Thank them for advocating on behalf of our collective interests and making the difficult decisions. Most importantly, thank them for being everyday heroes and making our students’ success their priority. 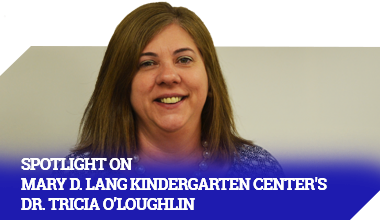 It is said that the art of teaching is assisting discovery, and so much discovery happens in the Mary D. Lang Kindergarten Center. Ms. Samantha Budelman, a kindergarten teacher there for six years, is more than happy to assist. Ms. Budelman graduated from West Chester University with a degree in elementary education and is currently pursuing her master’s degree there to become a reading specialist. Ms. Budelman completed her student teaching in the District as well, working with Miss Wendy Clendening, a third-grade teacher at Bancroft Elementary School. Ms. Budelman is originally from Freehold, New Jersey, where her family lives, and she enjoys visiting them and spending time on the beach in the summer. She also has a dog, Jasmine, that she enjoys taking on long walks. She also hopes to return to coaching cheerleading once she completes graduate school. Los selladores dentales son un cubrimiento delgado del color de los dientes que cubre la superficie para masticar en las muelas permanentes para protegerlas de caries. Los sellamientos se colocan en entre la edad de 6 a 16 años, para prevenir caries. premolares permanentes a temprana edad para evitar las caries. Sealants should be placed on permanent molars and premolars teeth early to prevent cavities. Dental sealants are thin, tooth colored coverings painted-on the chewing surfaces of back teeth. Sealants are placed on permanent molars of children age 6-16 yrs. to prevent cavities. Thank you for your patience and understanding, and safe travels this afternoon and evening. Come join in a night of family fun as Kennett Consolidated School District teachers play the Harlem Wizards on Saturday, February 10, 2018, at 6:00 p.m. in Kennett High School’s Reynolds Gymnasium. The Wizards are a performance basketball team delivering widely successful fundraiser events for schools and nonprofits, playing in over 400 communities across the US last season alone, while raising over $200 million. They are a unique basketball team that is not primarily focused on winning games, but rather entertaining the crowd with a variety of basketball tricks and alley oops. What makes a Wizards show “awe-inspiring?” Some say it’s the oohs and aahs created by the thunderous, sky-high slams. For others, it’s the humor and seeing the teachers being good sports and having fun on the court with the Wizards. The comedy, audience participation, and spontaneity delivered as a world-class show all right in the high school gymnasium add up to a night to be experienced and treasured. Advance tickets are $10 for students and $12 for adults and can be purchased online at HarlemWizards.com. Tickets can also be purchased by emailing requests to khsminithon2018@gmail.com or calling 610-444-6617. Depending on the volume of advance sales, some tickets may be available at the door, $12 for students and $14 for adults. All proceeds benefit Kennett High School’s MiniTHON, a club based on Penn State’s THON that fundraises to support Four Diamonds, an organization dedicated to funding research for childhood cancer and helping afflicted families with the cost of treatment. For more information about MiniTHON and how to donate to the cause, visit www.khsminithon.org. The Kennett High School MiniTHON committee is hopeful that the whole Kennett community will come together for one great night on February 10. Doors open at 5:00 pm!